If you order a bare root tree (a tree that is sold without soil around it’s roots) from a catalog or from a website, the grower will ship your tree at the right time to plant it in your area. If you want to purchase a bare root tree from a local nursery, start looking for them at the end of winter or early spring. 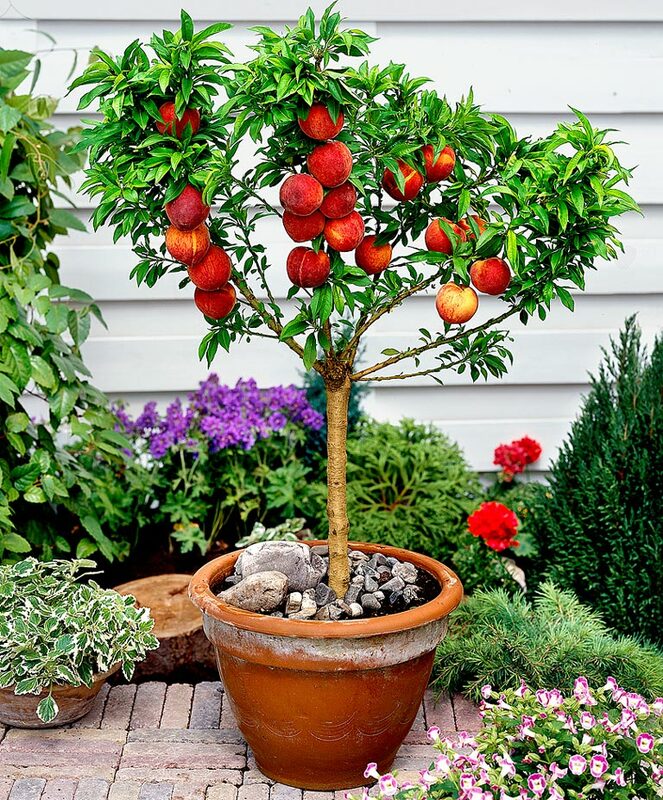 A tree that is already growing in a nursery pot can be purchased and planted at any time, except for the height of summer. 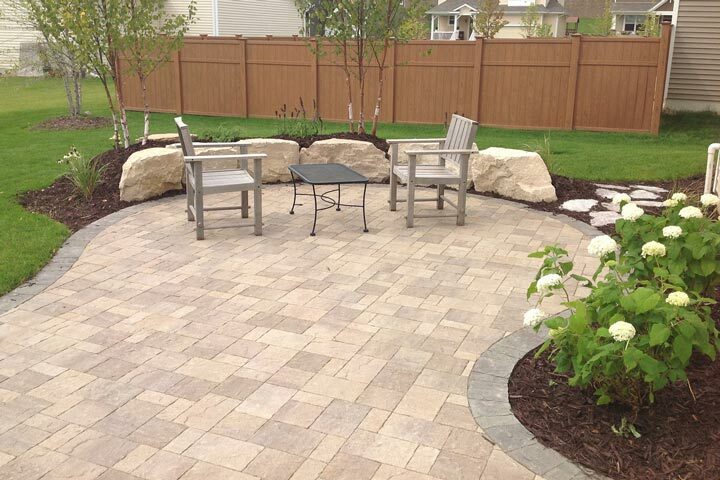 As far as the “where” goes, you need a spot with full-sun, and preferably protection from harsh, cold winds. Just a reminder, full-sun means 6 or more hours of sunlight shining directly on the tree, without any obstructions interfering with the light (like tree branches). 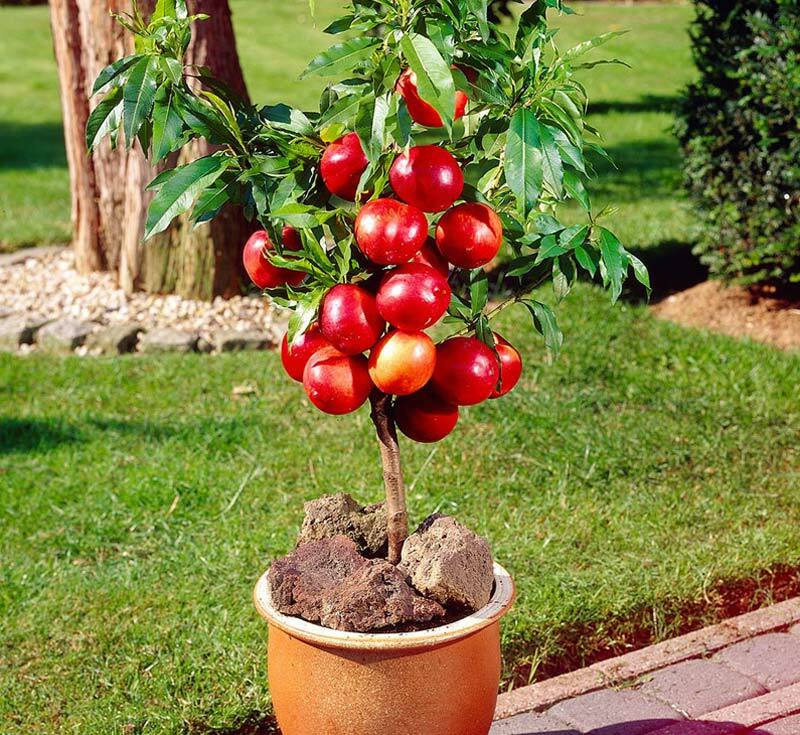 The first thing to know about peaches and nectarines is that, unlike apples, there is no dwarf rootstock to keep your tree small. However, trees that naturally maintain their dwarf stature have been developed. They’re called “natural dwarfs” and produce full size fruit on trees that max out in height at 6 feet. In a container, they are likely to stay even shorter. 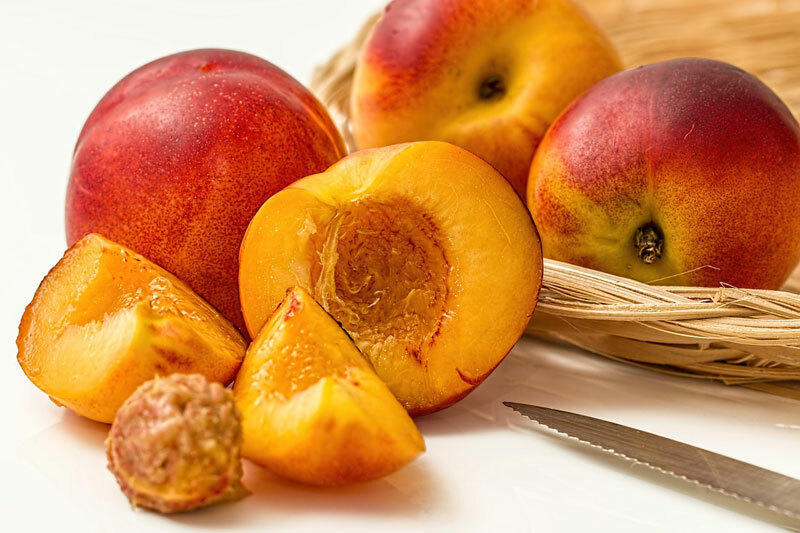 El Dorado (peach) – Nice yellow flesh, rich flavor, produces fruit early in the season. Honey Babe (peach) – Has really great flavor. Needs a cross-pollinator that is also a genetic dwarf. Necta Zee (nectarine) – Medium sized fruit have flavorful, yellow flash. 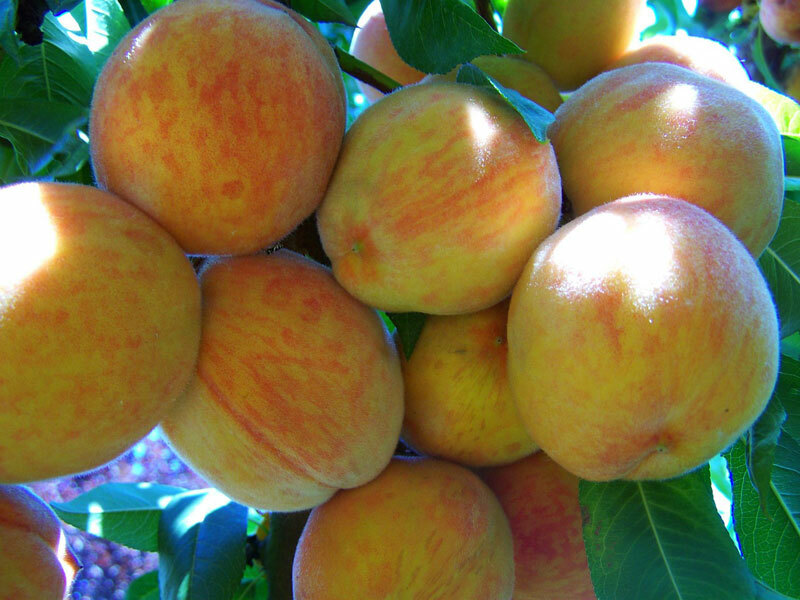 Babcock (peach) – This is the variety I grow. The flesh is white, with red streaks near the pit. It’s pretty sweet, with an tangy bite. Pix Zee (peach) – Large fruits with yellow flesh, and a wonderful fragrance. Bonanza II (peach) – Produces large fruit with yellow-orange flesh. Southern Belle (nectarine) – Large fruits have good flavor and are produced early. Watering is super important when it comes to fruit trees, and peaches are no different. Get started on the right foot by deeply watering your tree right after you plant it. 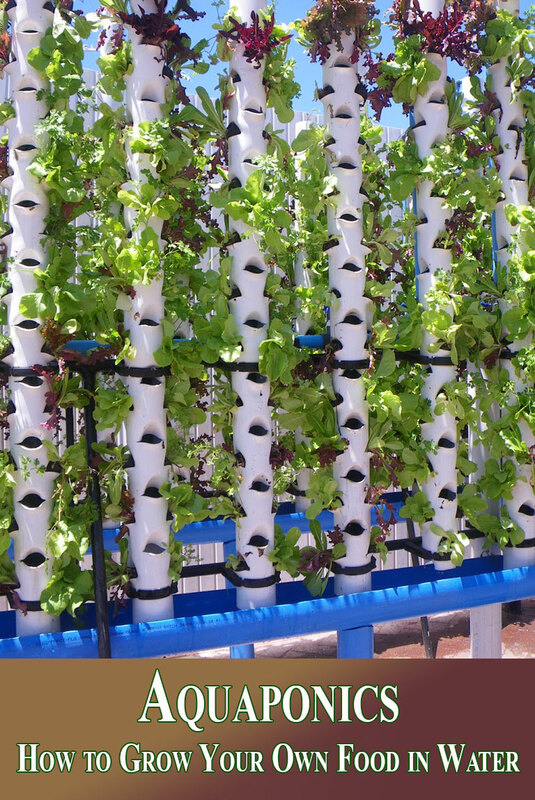 This means watering until you see water streaming out the bottom of the pot. If you purchased a bare root tree, you don’t need to water again for another couple of weeks. Watering before then could cause the barely active roots to rot. If you have an unexpected heat wave, and the soil dries out completely, then you can water before that, but that’s the only exception. 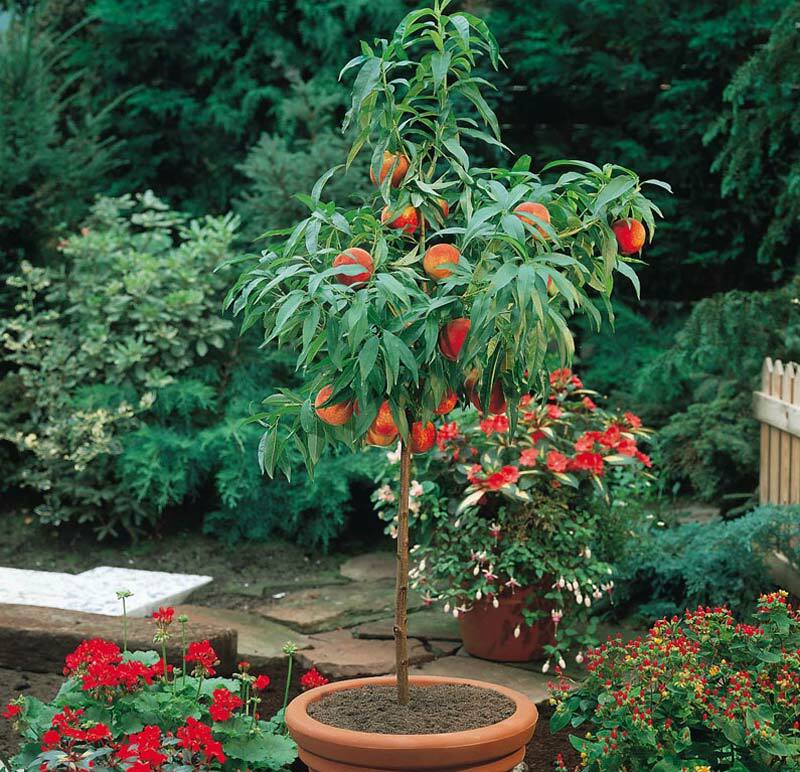 For peaches that were purchased in a nursery pot, and established bare root trees, you should water deeply whenever the soil dries out. That’s probably every 5-7 days in spring, but could be every other day in summer. Starting in late August or early September start cutting back the water so that you provide just enough to keep the soil lightly moist. You’re doing this to slow down the tree’s growth and prepare it for winter. 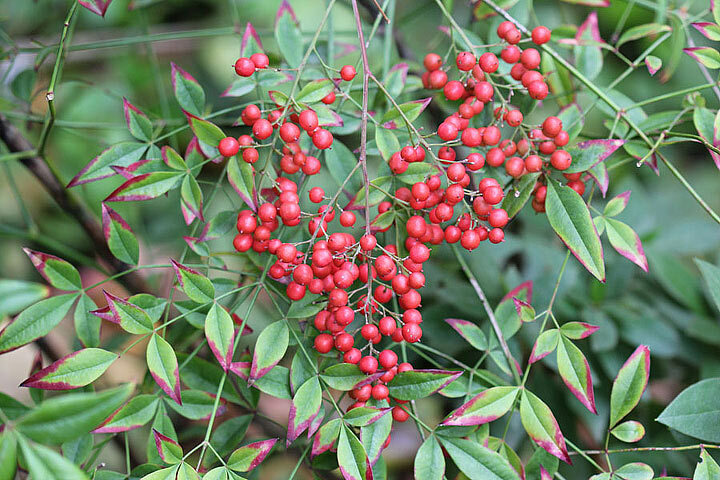 Choose a fertilizer that is meant for flower and fruit production. This means that the fertilizer you select should be high in phosphorus (the second number in the N-P-K numbers on the front of the fertilizer package). My preferred method is to use an organic, liquid fertilizer. I use it at half strength once a week during the growing season (and start tapering it off at the same time I taper off the water). Other than caterpillars nibbling on my peaches, they have been largely pest free. Peaches and nectarines are not often harassed by pests. They are, however, plagued by two diseases: bacterial canker and peach-leaf curl. You’ll know your tree has bacterial canker when you see a blob of amber colored sap on the trunk, branches, or twigs. If you were to scrape away the nearby bark, you will probably find dead or diseased wood (brown instead of white or green) in the interior. Bacterial canker is usually only a problem in areas that get lots of winter rain. The best way to prevent bacterial canker is to spray your tree with copper fungicide three times during the season: in fall before the rain begins, mid-winter during a break in the rain, and early spring, once the rain has stopped. As always, be sure to follow the label instructions carefully. Copper fungicide will also help prevent peach-leaf curl. You’ll know you have peach-leaf curl if you see red splotches on leaves that are abnormally curled or deformed. Moving your tree out of the rain is a good way to help prevent both diseases.